The tweet included an image of her and family; herself, her son JQ and her husband and former OLTL co-star James DePaiva. She encouraged everyone to check out the official website for more information. The website talks about their son’s ordeal. According to the website their son was born deaf. He received his first cochlear implant at 18 months which lead to him hearing voices for the first time in his young life. It was at the age of 8 that he received his second cochlear implant and since then continued to thrive. DePaiva highlights that the hearing loss community means a lot to her and her husband. She went on further to say that May is Better Hearing and Speech Month. Later highlighting a cochlear challenge; in which they are challenging everyone to spread the word about hearing loss and its solutions to approximately 1 million people in just 31 days. DePaiva states that this is a challenge she is encouraging people to get involved in to inspire persons to help with the changing of lives for those who are struggling with hearing. 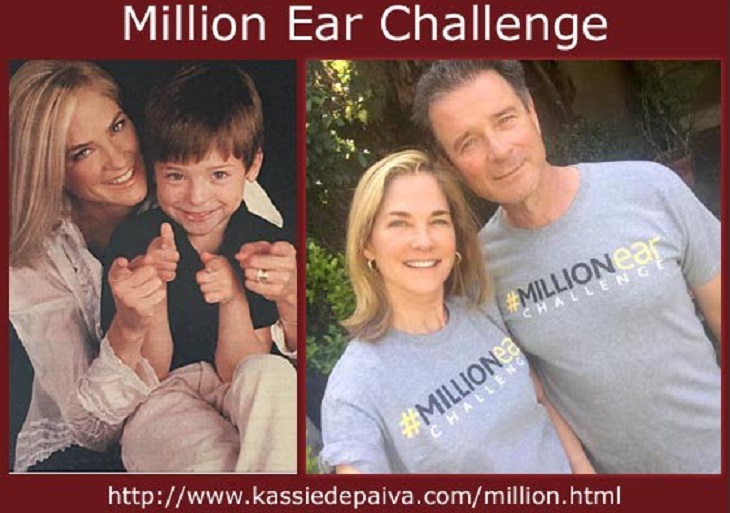 She also shares that this challenge is very important as they intend to reach the target of 1 million people and as soon as they do they will celebrate the achievement with a donation to Cochlear implant parts and accessories to help support those in need. She again encourages everyone to tweet and retweet, post, share and repost to spread the word using the hashtag #MillionEar. Let’s all get on board and help spread the word fans, you can also visit Kassie’s official blog for more information.